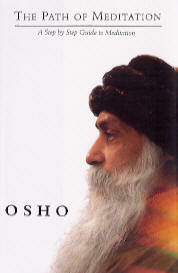 Osho spreekt in The Path of Meditation de deelnemers aan zijn Meditatie camp in de vroege jaren ’70 in Mahabaleshwar toe als”My Beloved Ones”. Hij verwelkomt hen op die manier, omdat zij blijk geven van hun verlangen naar het goddelijke, naar de Waarheid. Ondanks alle wereldse begeertes hebben zij ook die speciale spirituele dorst. Alleen al die dorst te ervaren is een grote zegen. Er zijn talloze mensen die deze niet voelen of er niet voor gaan om hem te lessen. En ook als het kennen van de Waarheid voorlopig uitblijft, is de kans om het verlangen ernaar te beleven iets om niet mis te lopen. The Path of Meditation is verkrijgbaar bij de Boekhandel. This is a step by step account of how to prepare the body, mind and emotions to enhance your meditation. 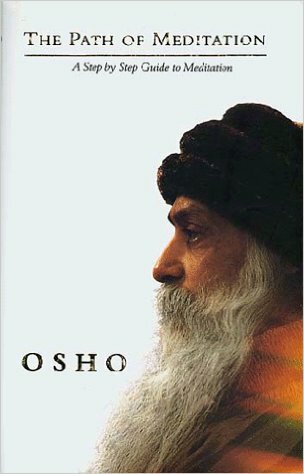 Osho guides the participants and the reader alike in the use of powerful meditation techniques and suggests many useful applications for supporting meditation in your daily life. He also describes the different stages that happen on the path of meditation. This book is a must-read for both the new and the experienced meditator. Even more, it is an invitation to experiment with these life-transforming techniques. “I have said a few things to you about how to take steps towards samadhi: how to discipline yourself and take care of yourself, and how to sow the seeds which will grow into divine flowers. But if even just a few things stick to your mind, if even one seed falls into the soil of your heart, there is no reason why it should not sprout and give you the experience of a new life. 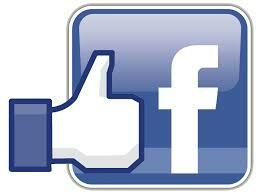 “Drop the desire to go on living your life in the same way as you have been living it. There is no meaning in it. Make space in your life for something new. If you go on living in the same way that you have been living, death will be the only outcome. “This desire, this discontent must come alive in you. I have no other wish for you than this. Usually people say that religion is contentment. And I say that only religious people become discontented. Everything in life only creates discontent in them, and only then do they begin to look towards religion.